Today was infusion day for me. 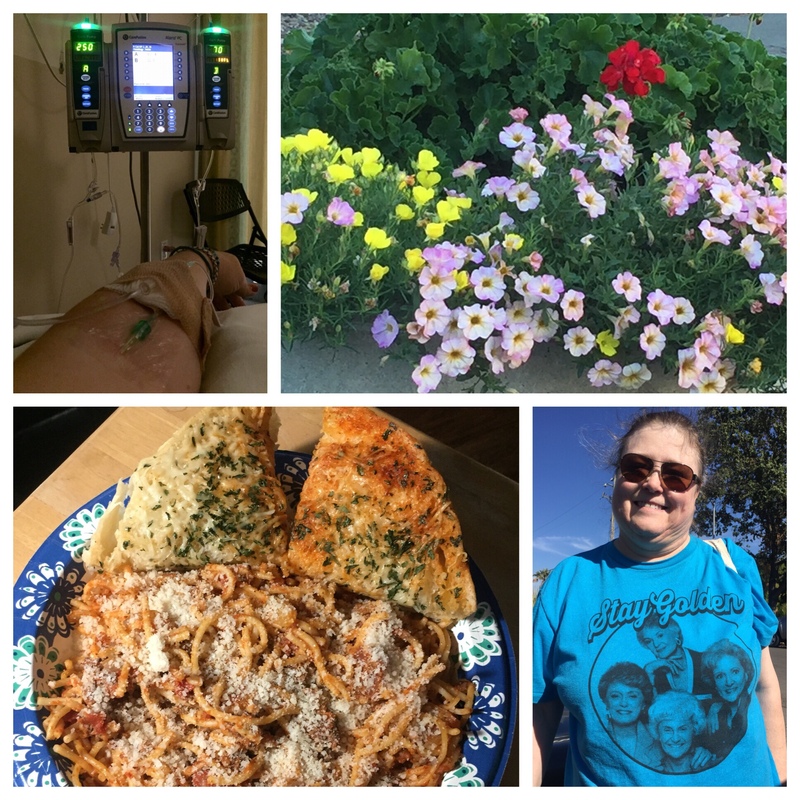 It’s been nearly a year since I started this chemotherapy treatment for my Crohn’s Disease, and it has been making a big difference in my chronic GI symptoms. I was thrilled to have Nurse Tammy take care of me today, because she got the IV in on the first try. On the way outside the hospital, I noticed these pretty flowers. And my good friend Kelley, who took me to my appointment, wore my favorite shirt of hers! When I got home, our amazing neighbor Ti had delivered a giant pot of delicious spaghetti. Mama and I both loved it, and it was such a relief to have dinner sorted! Today’s #OneGoodThing was the bright spots on infusion day! Day 206 of 365. And Day 937 in a row (here’s the first 366 & the following 365)! Glad to hear all went well, take it easy over the next few days, it’s your turn to be pampered!